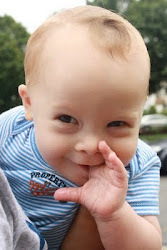 The Baby Blogs: Happy International Day of Persons with Disabilities!! Who knew? "...I have a God-given right to be CUTE..."
cute is the main word!!! I believe that’s the perfect way to make a change in our system.